World cities are asserting themselves like nation-states to maintain the pact made with the world to help save the planet. 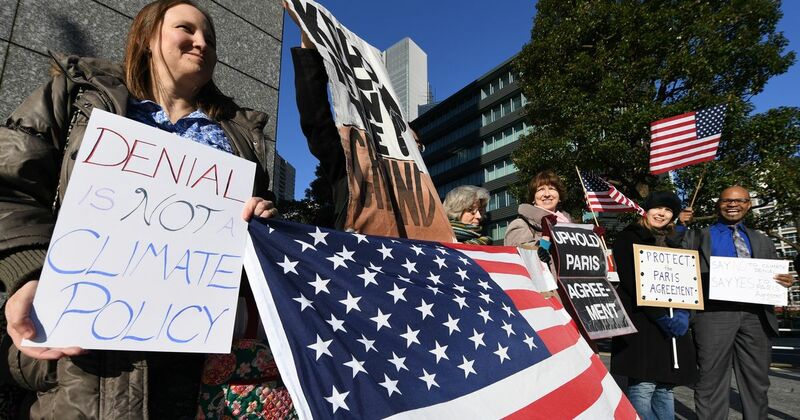 When US President Donald Trump announced that his country would be pulling out of the Paris agreement, the immediate reaction across the globe was one of despair, anger and helplessness. The Paris agreement is widely seen as the last opportunity for the world to unite and limit the increase in global temperature to 2 degrees Celsius. How can this international agreement remain relevant when the world’s second-largest polluter chooses to remain outside its ambit and is not willing to be held responsible? This wasn’t the first time that the United States has reneged on a climate deal. George W. Bush’s government had refused to ratify the Kyoto Protocol (1997), which proved to be the death knell for the agreement and international cooperation at large. An entire decade was wasted with countries sparring over who was really responsible for the mess we found ourselves in, until Paris. But 20 years is a long time, and between Kyoto and Paris, we find ourselves living in a completely different geopolitical and economic global framework. The good news is that this time around, there might be reasons to not despair. Within the climate diplomacy framework, cities led by powerful mayors are effectively asserting themselves like nation-states and showing themselves willing to act collectively. Speaking at the press conference about the US withdrawal from the Paris agreement, President Trump declared that he was “elected to represent the citizens of Pittsburgh, not Paris. Within minutes of his speech, the mayor of Pittsburgh issued a statement reaffirming the city’s commitment to the Paris agreement. He issued an executive order committing his city to the accord by continuing efforts to end the use of landfills, reduce energy consumption by half and develop a fossil fuel-free fleet of city vehicles. Mayor Bill Peduto was not alone. All in all, 175 mayors (and counting) of the biggest cities across the country, cutting across party lines and representing 51 million Americans, reaffirmed their commitment to the Paris agreement. On social media, #wearestillin quickly became viral while US mayors pledged their commitment to climate change on an eponymous website listing all supportive cities. Since Trump’s decision to pull out, US states have jumped in. On June 6, Hawaii enacted legislation in support of its Paris commitments. The same day, California independently signed an accord with Germany, with the aim of empowering local communities to combat climate change. 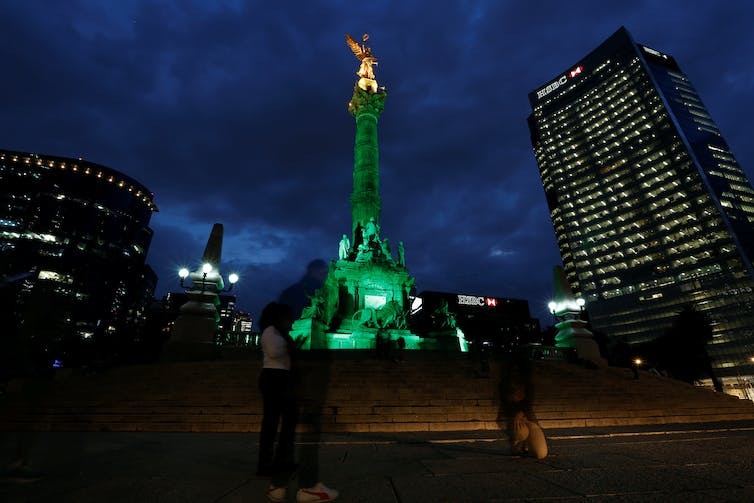 Mayors from around the world reacted, pledging their support for the Paris agreement, often adorning their cities’ monuments with green lights. This isn’t the first time that cities have found themselves at the centre stage of international politics. In fact, historically, most global cities have preceded their respective nation-states by over 5,000 years. But by the late 19th century, when the concept of the Westphalian sovereign nation-state developed in modern international relations, and countries became the main actors on the diplomatic stage, the political clout of cities diminished. Over the last decade, this has changed significantly. For starters, some cities have grown so big that by virtue of their economic might, they’re now able to assert themselves independently. New York’s GDP (US$1.45 trillion) is larger than that of Spain (US$1.1 trillion) or South Korea (US$1.38 trillion). São Paulo state in Brazil is wealthier than Argentina, Uruguay, Paraguay and Bolivia combined, and Guangdong in China is richer than Russia or Mexico. Most big cities in the world have also been able to organise themselves under a common international forum, which only further enhances their bargaining power.Local Governments for Sustainability (ICLEI), United Cities and Local Governments (UCLG) or the Cities Climate Leadership Group (C40) are a few such examples. These hybrid and often complex networks have been particularly successful in fostering innovative modes of cooperation between the private sector and cities. The private insurance industry is working with several cities across the world to identify and quantify risks as well as design mitigation strategies and post-disaster financing instruments. It’s a win-win situation for both parties as the insurance industry helps develop cities’ climate resilience and, in return, gains access to new markets. We’re the level of government closest to the majority of the world’s people. We’re directly responsible for their well-being and their futures. So while nations talk, but too often drag their heels, cities act. True to his word, within a few hours of President Trump’s press conference, Bloomberg had managed to organise a coalition through the Cities Climate Leadership Group (C40), which he chairs. On June 2 2017, addressing a joint press conference with French President Emmanuel Macron at the Élysée Palace, Bloomberg assured the international community that the US will meet its Paris commitment, and through a partnership among cities, states, and businesses, will seek to remain part of the Paris agreement. He went a step further and pledged US$15 million, the amount that the Bonn-based secretariat of the UN Framework Convention on Climate Change (UNFCCC) stands to lose as a result of Washington’s decision to pull out of the deal. Accepting Bloomberg’s proposal, Christina Figueres of the UNFCCC has even promised to evolve a method for cities to be able to independently declare their Intended Nationally Determined Contributions (INDCs), a responsibility earlier reserved only for countries in the Paris agreement. Thank you Trump. You have provoked an unparalleled wave of support for Paris and determined resolve on climate action. Deeply grateful. City leaders have also been active members of the 2016-founded Global covenant of mayors for climate and energy, an international alliance of mayors grouping 7,450 cities across the world dedicated to fighting climate change. President Trump’s decision to pull out of the deal seems to have inspired action not just in American cities but also in the developing world. Last week, India announced that it does not plan to build any new coal plants after 2022. It has also committed to generating 57% of its power through renewable sources by 2027, far exceeding its earlier target and three years before schedule. Aided by a favourable market and falling technology costs, countries such as India and China are keen to assume global leadership. Indian mayors are also particularly conscious of the financial cost of climate change. 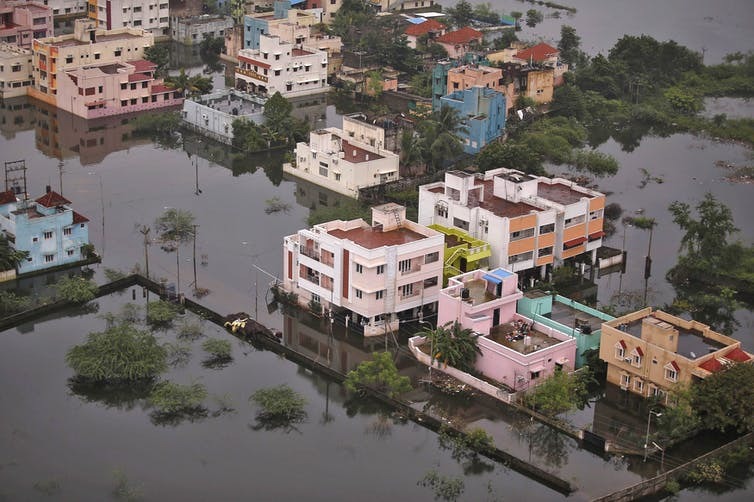 The 2015 floods that hit the southern state of Tamil Nadu and particularly the city of Chennai, caused a US$3 billion loss to the Indian economy. Chennai is now seeking to learn resilience strategies from other Indian cities that have faced similar disasters and adapted successfully. One of them is Surat, in Gujarat, on the west coast of India. 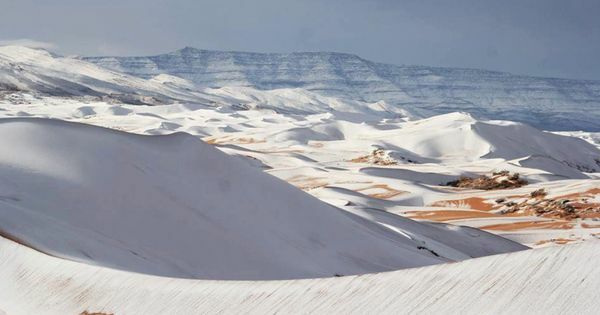 The industrial, fast-growing town has been severely affected by climate change. In the last decade, Surat has experienced over 23 floods as well as an outbreak of plague in 1994. But the town has made great strides towards resilience. From building early warning response systems, mapping communities vulnerable to flooding, setting up a system of evacuation shelters, securing the electricity grid, preventing vector-borne diseases and groundwater management programs, Surat has been able to drastically reduce the effects of climate change-induced disasters. Globally, since 2000, climate change disasters are estimated to have cost a whopping US$2.5 trillion. The case for clean energy, resilience and sustainability is increasingly an economic one rather than purely environmental. Cities have an added incentive and responsibility to act before it’s too late. Almost all of the world’s cities are dealing with one or more of the harmful effects of climate change. After all, 90% of the world’s urban areas are in proximity to coastal land, which puts most cities at risk of flooding due to rising sea levels. Cities also consume ⅔ of the world’s energy and are responsible for over 70% of global CO² emissions. It is critical that cities have plans in place to deal with climate change and its effects, develop resilient infrastructure and have contingency plans for disaster recovery. Former US president Barack Obama had committed to reducing US greenhouse gas emissions 26% to 28% by 2025, from their 2005 levels. If the enthusiasm of the mayors over the last few weeks is anything to go by, President Trump’s decision to pull out of the Paris agreement only seems to have reinvigorated efforts, strengthened resolve and motivated local leadership to redouble efforts to tackle climate change. Some US mayors are even confident of bettering Obama’s commitment. If cities, states, businesses, and civil society are able to work together and tap into networks of other cities while maintaining the right kind of momentum, Trump pulling the US out of the Paris deal might just turn out to be a blessing in disguise. Nandan Sharalaya, German Chancellor Fellow, WHU – Otto Beisheim School of Management.